Super-oilite bushing and matched precision ground spindle shaft. 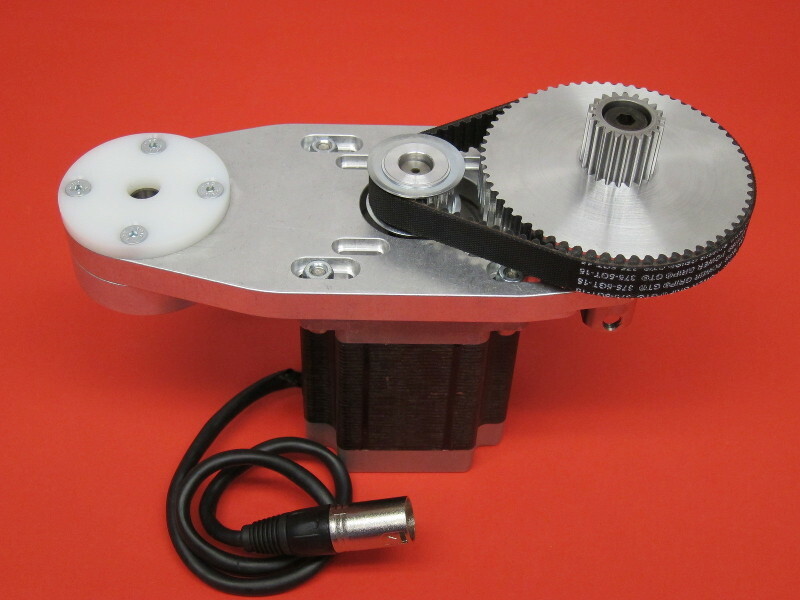 High resolution 3.2:1 belt drive reduction for NEMA 34 motors motors. Unique EZ-tension mechanism for simple adjustment of gear to rack pre-loading. Our most recent version features some significant improvements in usability over previous models. Top-side belt tensioning cam. Belt tension can be adjusted without clamps, even while the unit is installed on a machine. Universal mounting plate design allows users to switch from NEMA 34 to NEMA 23 by changing only pulleys, belts, and drive spindle. Dual bearing pivot with eccentric locking collar for low backlash and easy adjustment of rack engagement in non-standard setups. 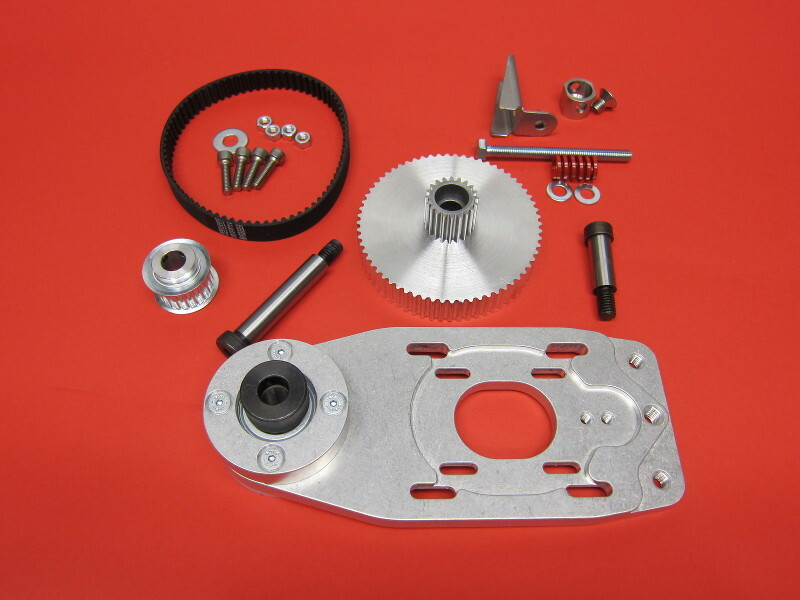 Rack and Pinion drive plate with universal mounting features for NEMA 23 or NEMA 34 motors. Pre-assembled dual bearing pivot system with precision shoulder bolt (3/8-16 thread). Super oilite bearing drive spindle, with 20 tooth gear and 64 tooth timing pulley and matched precision ground shaft. Motor mounting screws and nuts (motor not included). Pair this drive system with our 960 oz-in NEMA 34 Motor for superior machine performance. PRO R&P drives interface perfectly with our PRO Gear Rack, available in 39" or 52" sections that are conveniently spliceable for virtually unlimited travel, using 20 pitch, 20 degree pressure angle rack featuring a mounting flange for easier installation, greater stiffness, higher load capacity, and longer gear life. The R&P system is based on a pinion with a 1" pitch circle. The total linear distance traveled per revolution of the pinion is thus 3.14159". With the 3.2:1 reduction, this means that the distance traveled per motor revolution is 3.14159 / 3.2, or 0.9817". If you have a stepper with 200 steps per revolution, this means you have 200 / 0.9817" = 203.718 steps per inch, or 0.004908" per step. With 10x microstepping , you would have 2037.18 steps per inch, or 0.0004908" per step. This product was added to our catalog on February 25, 2013.